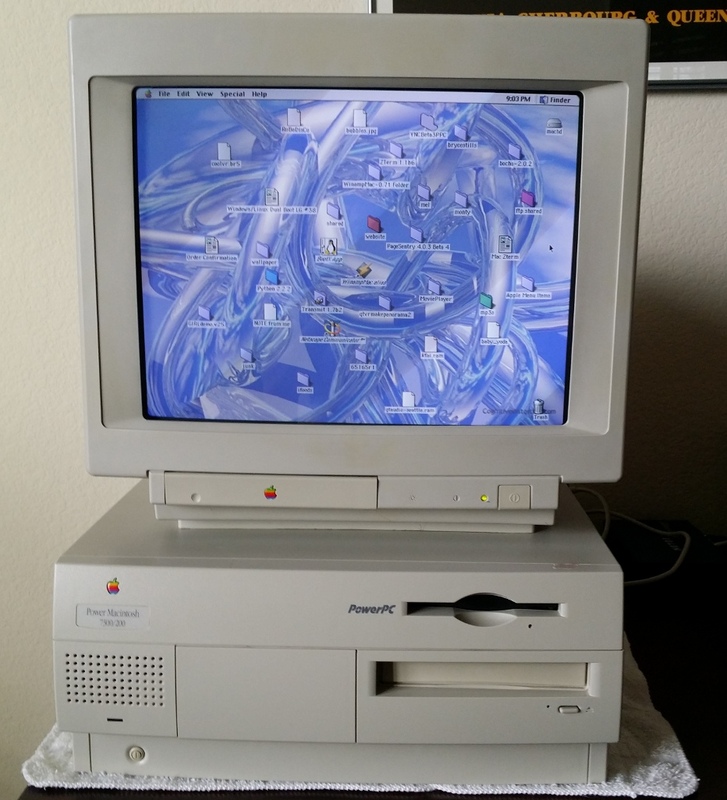 Since I began working with vintage Macs (several years now), I have been watching eBay for the Power Macintosh 7300/200. For years I have watched, and for years I have been unable to find one. This all changed a month or so ago (finally! 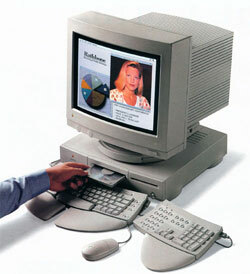 ), but it put me in the mind of another truly rare vintage Mac, the Centris 660AV. This post is a minor digression about these two machines, both apparently in very short supply these days. The 25 MHz 68040-based Centris 660AV was introduced in July 1993, alongside its larger running mate, the Quadra 840AV. Brand confusion was rampant at the time, with Apple having so many different lines and models simultaneously on the market that it was hard to know what was what. In part to resolve this sort of problem, Apple quite suddenly rebranded the Centris 660AV to the Quadra 660AV. Same machine, new brand. This rebranding occurred in October 1993, making the “Centris 660AV” moniker one of the shortest lived Apple models names ever, at only 4 months of market presence. Like the Power Macintosh 7300/200 that I mentioned at the start of this post, the Centris 660AV has been a hard machine to find on eBay, although I have seen the odd one now and then. Most recently, just last month, one finally appeared on eBay (and then quickly disappeared as well – you have to keep an eagle eye out in this business!). If you are looking for one of these collector’s items, you will need to be patient, scan eBay often, and act quickly when you find one. This brings me to the Power Macintosh 7300/200. One does see the odd Power Macintosh 7300/180 on eBay, but the 200 MHz version seems to be nearly impossible to find. 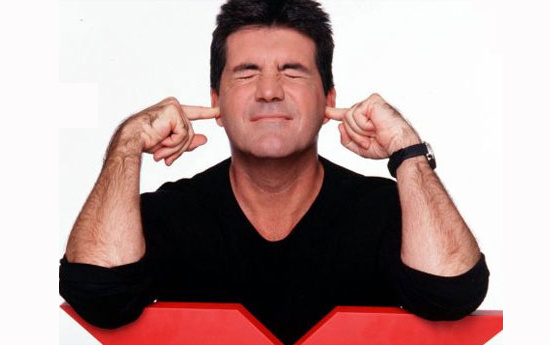 Its short market life may partially explain this. Introduced February 1997, the Power Macintosh 7300 was discontinued only a short number of months later, in November of the same year, yielding a total market availability of only 10 months. This short market cycle, coupled with the availability of a lower cost 180 MHz version may account for the scarcity of 200 MHz models. 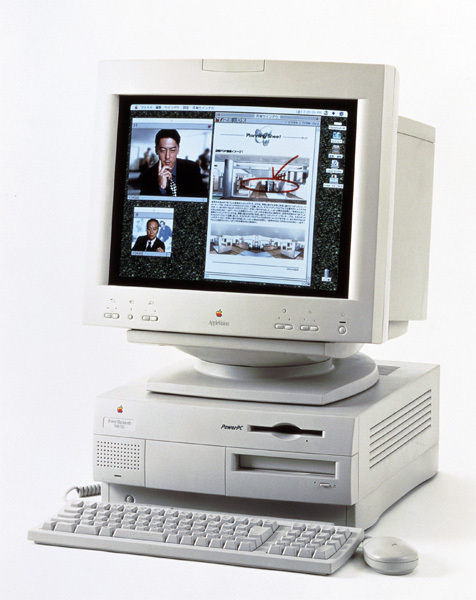 The Power Macintosh 7300 featured the newest PowerPC 604e processor, and was available in North America in the 180 MHz and 200 MHz models mentioned above. An additional a 166 MHz model was also available in Europe and Asia. After years of searching for the 200 MHz model, my luck finally changed for the better last month, when a fully operational 200 MHz Power Macintosh 7300 finally showed up on eBay, and for the princely sum of only $39.99. I bid right away, but given the rarity of the model, I expected a vicious bidding war to ensue. Much to my surprise, I was opposed by only one other bidder, who obligingly bowed out after only one round. Net result: I won the auction for only $58.88! The machine showed up at my home a week or so later, and was in excellent condition. I opened it up, reseated the CPU card, which had almost come out of its slot, checked to ensure that the RAM and VRAM cards were firmly in place and finally checked all the motherboard connectors. All was well. The machine fired up right away with a vigorous startup chime and booted into Mac OS 9.0.4. An added bonus is that there was a second hard drive in the machine (both drives are 2.1 GB) with a full Debian 3.0 Linux on it. While this was a real treat, it is a limited one, as I don’t have any of the userids and passwords for it, and thus no way to get into it. I am still working on that one – I have found a Linux Live CD for PPC that may allow me to poke around and break in. That will be the topic for another post. Meantime however, I discovered an ext2/3 driver for Mac OS 9 today, quite by accident. You can download it as well, from http://dl.dropbox.com/u/3809776/MountX_1.0a1.sit.hqx. Once installed, I should be able to view the second Linux hard drive directly from Mac OS 9, or at least that is the hope. Things are not perfect however. This machine has a problem that was all too common at the time. The two hard drives are loud, LOUD, LOUD! The machine as it currently is would be intolerable to work with for any period of time. That set me off on a hunt for a 50 pin SCSI hard drive with quieter specs. I eventually found one on eBay with excellent acoustic numbers and ordered it. It is 18 GB, which is nearly authentic for the period, so it will do. It is likely a 1999 drive, which could easily have been added to a 1997 computer during its operational lifetime. 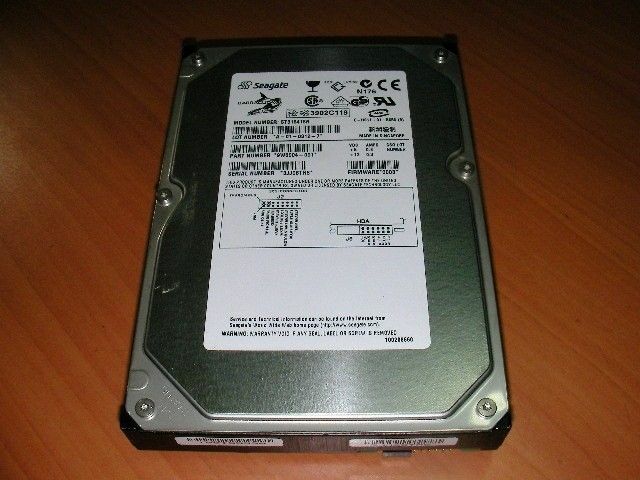 When it arrives, I will begin the job of upgrading the machine to the new hard drive. I am going to try to find a way to simply clone the contents of the hard drive that is currently installed onto the new drive, but if not, I will put a clean install of Mac OS 9.1 onto it (I have an install CD for it already). That’s it for this post. Two rare vintage Macs have both shown up on eBay recently, and I thought that they deserved mention in this forum.